If you haven’t heard about the Third Network, now’s the time. The Third Network combines the internet and Carrier Ethernet 2.0 (CE 2.0) and enables the delivery of on-demand, assured network services like software defined networking (SDN), network functions virtualization (NFV) and lifecycle service orchestration (LSO) directly to businesses. Third Network services combine the on-demand agility and ubiquity of the Internet with the performance and security assurances of Carrier Ethernet 2.0. Optimized for real-time, QoS-enabled, secured traffic and integration of value-added network functions-as-a-service, Third Network services are delivered over automated, virtualized, and interconnected networks powered by CE 2.0, LSO (Lifecycle Service Orchestration), SDN, and NFV. At the MEF16 global networking conference, taking place 7-10 November at the Hilton Baltimore Inner Harbor Hotel in Baltimore, Maryland, you can see 29 companies showcasing how they’re using Third Network services to reshape the communications landscape. 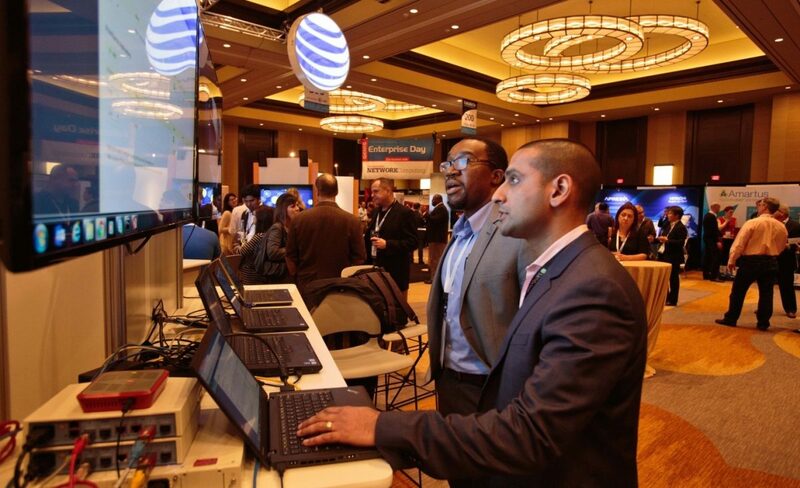 The live Proof of Concept (PoC) showcase, the focal point of MEF16, is where you can see leading-edge implementations of agile, assured and orchestrated Third Network services from companies like Cisco, Comcast, Huawei and many more. To learn more about MEF , the driving force enabling Third Network services for the hyper-connected world and the Proof of Concept Showcase, click here.